Renewme Skin Clinic Network hosted the first regular medical seminar of 2016, on Sunday March 20th at the Bundang branch. Dermatologists and staff from all six Renewme branches, medical equipment company representatives, as well as foreign doctors and aestheticians attended the seminar to be briefed on the latest skin treatments and to observe our senior doctors perform live on patients. Presentation was on various topics including eye-bag lifting, anti-aging lasers, obesity treatments, laser toning, hydrolifting injection, fillers, botox, and thread lift. The doctors took short coffee breaks in between, examining each other and offering their opinions. Lunch was a delicious sushi box delivery. Everything was delightfully scrumptious, including the salad and fries! Though I'm not the best person to ask for an opinion, as I will love it as long as it is sushi. Live demonstrations included radiofrequency for neck wrinkles and eye bags, latest thread lift, fillers, HIFU treatment, and mini-liposuction. The first live demonstration was radiofrequency treatment for neck wrinkles, performed on our own dermatologist, Dr. Kim Tae Hwan. Our doctors also tried a brand new type of PLLA thread for thread lift, expected to have longer and more natural results. Mini-liposuction, first introduced last year, is another live procedure of great interest for our doctors. After the seminar we went for fusion Korean food, which was so out of this world! There were menus I hadn't even heard of before. 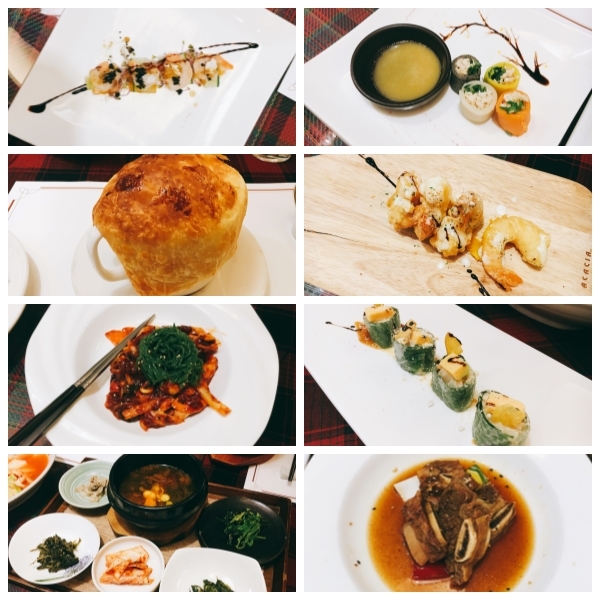 Definitely want to go again, and highly recommended if you live around the Bundang area! Restaurant is called 사계절 (literally Four Seasons). Not accessible by public transport, must go by taxi or car. When Should You Consider Fat Graft?